Joshua Clayton was a Surgeon in the Continental Army. Clayton really left his mark on the State of Delaware, where he was both the last President and first Governor. Joshua Clayton was a Delaware Physician who eagerly dedicated himself to the American Revolutionary War. As soon as hostilities broke out, Clayton joined the local Militia as a Surgeon and soon found himself moving over to the Continental Army. He quickly rose through the ranks and briefly served as an aide de camp to General George Washington at the Battle of the Brandywine. Three years into the war Clayton resigned his position when he was elected as both a Justice of the Peace and State Assemblyman. Clayton spent the better part of a decade in the Delaware Assembly, further serving as the State’s Treasurer. Joshua was then selected as President of Delaware about the same time that Washington assumed the office of President of the United States. At the time, the President of Delaware was chosen by the Assembly. During Clayton’s first term, a new State Constitution was written which changed this to a popular vote. His decisions must have had widespread approval because Clayton was elected to retain his position, now known as Governor. While Chief Executive of his State, Clayton helped organize the construction of a new State House. This ran into a bit of trouble when local County Officials wanted to use this building also (as they assisted in funding construction). Although official resolutions condemning this were filed by the State Assembly, cooler heads prevailed in the Senate and the tensions soon blew over. The County Officials were permitted to share the State House. On a lighter note, after Delaware ratified the first ten Constitutional Amendments, Joshua was responsible for sending a letter to President Washington announcing his State had approved the Bill of Rights. After six years as Delaware’s Chief Magistrate, Joshua Clayton was selected as a United States Senator. This was his first time on the national stage. Unfortunately, it would not last long. During his first session in Philadelphia, the Yellow Fever Epidemic of 1798 broke out. The disease ravaged the city and, although many Senators and Congressmen were able to flee the city, Clayton did not get out in time. Joshua caught the deadly diseased and passed away just a few weeks later, still serving as a United States Senator. 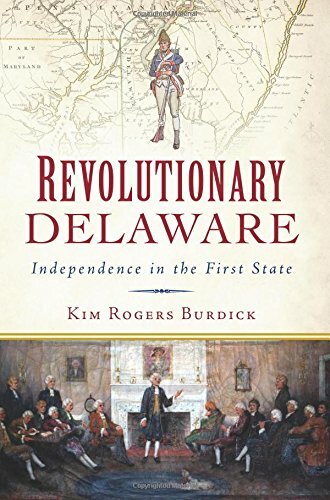 Do you want to read about other Governors of Delaware? Enjoy these articles on Articles Signer Nicholas Van Dyke and the much underappreciated John Dickinson. Want to learn more on the Founding in Delaware? This book is a military history of the First State. Pick up a copy through the Amazon affiliate link below (you’ll support this site, but don’t worry, Amazon pays me while your price stays the same).